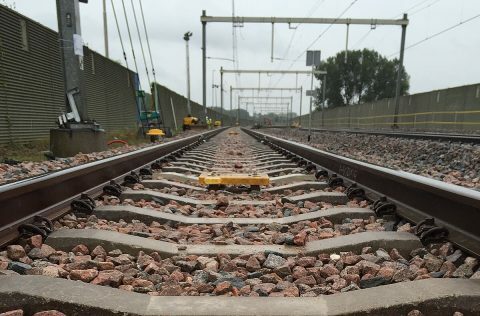 The roll out of the European safety system ERTMS is happening much too slowly and costing too much money. A shift in mentality is required, in which the sector adopts flexibility and prepares for change with a new system. This was the view outlined by Karel Vinck, EU coordinator for the ERTMS programme, during the UIC rail conference in Milan last month. The ERTMS system is the basis for digitalisation of the railway, stated Vinck. Once ERTMS has been rolled out, other technologies can be connected to it. As an example, the EU coordinator mentioned the Automatic Train Operation (ATO) system. ATO is a technology that facilitates self-driving trains and allows trains to closely follow each other, thereby increasing track capacity. According to Vinck, the biggest problem is migrating the current safety systems to ERTMS. “It is happening much too slowly. I want to make a plea to all stakeholders: the shorter the migration process, the better.” The EU coordinator named two conditions that need to be met to accelerate the project. The first is the technical specifications that can ensure that ERTMS is an inter-operable European track system. The second is to attract private investors that can pre-finance the projects. Doppelbauer stated that though a conclusive business case has been formulated at the European level, the problem is that member states require individual business cases. 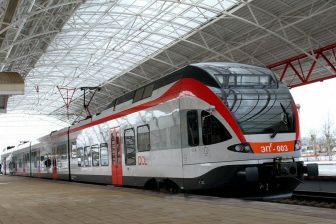 “It is a challenge to migrate over twenty different safety systems in Europe to one single system.” In a report at the end of last year, the European Court of Auditors asserted that the lack of individual business cases means that many infrastructure managers and rail operators are hesitant about investing in the safety system. The European Commission should therefore make conclusive business cases together with each member state. During the conference, concerns were also expressed about the next proposal from the European Commission for a Multiannual Financial Framework (MFF) for the period January 2021 – 31 December 2028. Part of this involves redefining the financing of large transport projects. It is feared that the UK’s departure from the EU will have consequences for the ERTMS programme’s budget. MEP Massimiliano Salini indicated that the European Commission is currently looking at other financing options for the ERTMS programme. “CEF and EFSI are perhaps good alternatives”, he asserted. The transport budget Connecting Europe Facility (CEF) is part of the current MFF. MEP Wim van de Camp already emphasised that it is possible to further expand this fund. Another funding option is the European Fund for Strategic Investments (EFSI). The EU provides loans via the EFSI and subsidies via the CEF. Mixing these financing forms is being considered at the EU level. Unife’s Director General Philippe Citroën said that the rail sector must ‘fight’ for the ERTMS budget. 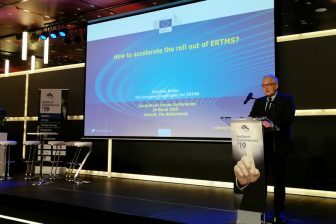 “It is of great importance that we get support from the European Commission and the member states.” He believes that ERTMS is the ‘cornerstone of digitalisation’ in the EU. 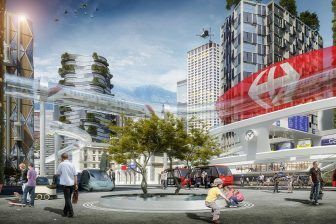 According to Mazzola, the proposal serves as input for the European Commission for the next financing programme, which can ensure that the Trans-European Transport Networks (TEN-T) can be further scaled up.